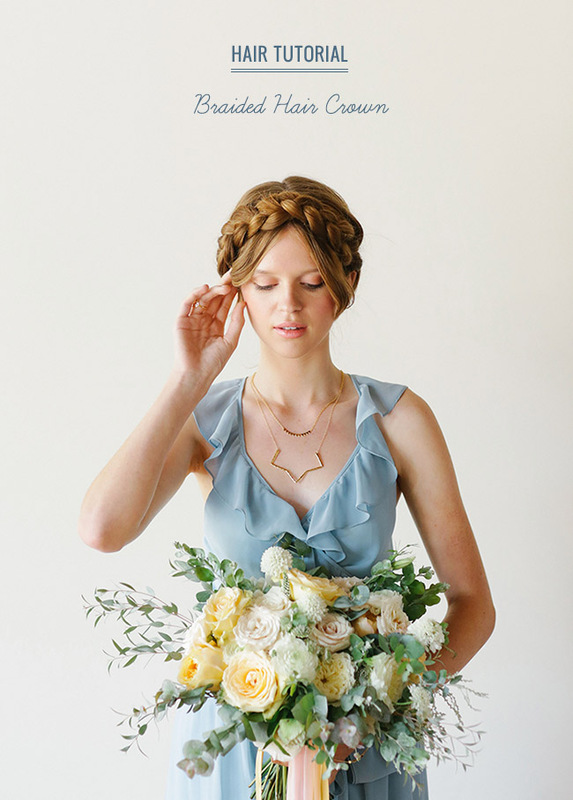 Last month we shared a rad styling collaboration with Green Wedding Shoes + one of our favorite bridesmaid dress designers, Joanna August. 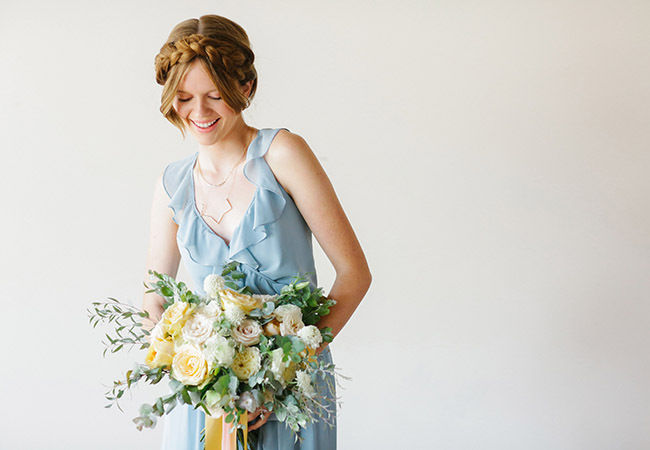 In our Romantic Bridesmaid post, we styled model Rileigh with a braided hair crown + today we are sharing how to re-create that braid yourself! 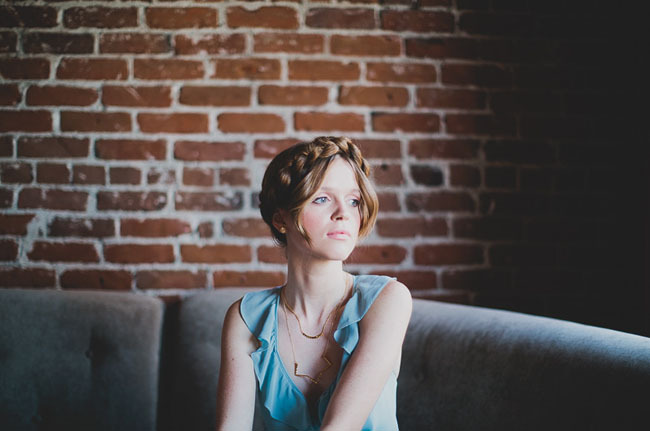 Thanks to the Symmetry Beauty gals for sharing their expert tips, lets see how they did it! Step 1: Start with fresh, clean hair. Step 2: Separate your hair into two sections. 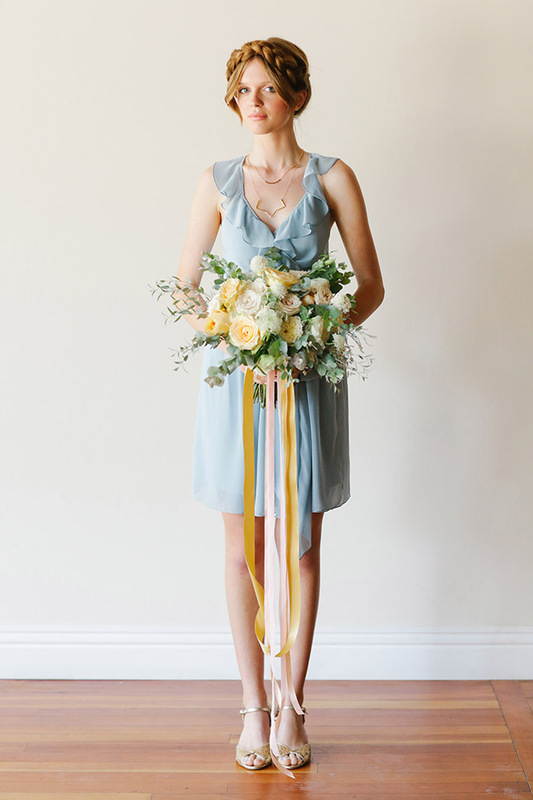 Take one section and braid that down (we used clear ties so that you wouldn’t be able to see them). Step 3: Braid the other side the same as the first. Step 4: Take one braid and bring over the top of your head + secure with pins. Step 5: Take the second braid and bring over the other side of your head. Secure with pins and tuck ends into first braid. Here you can add pins to reinforce everything down. *Styling tip: If you leave some pieces of your hair out, curl the ends with an iron to add texture! Gorgeous! 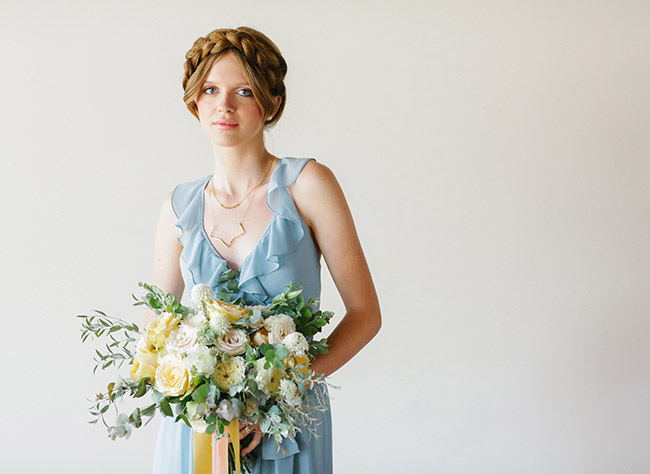 Extra pretty paired with the pale blue ‘Into the Mystic’ color of Rileigh’s Lacey Dress. This is just lovely! You make it look so easy! 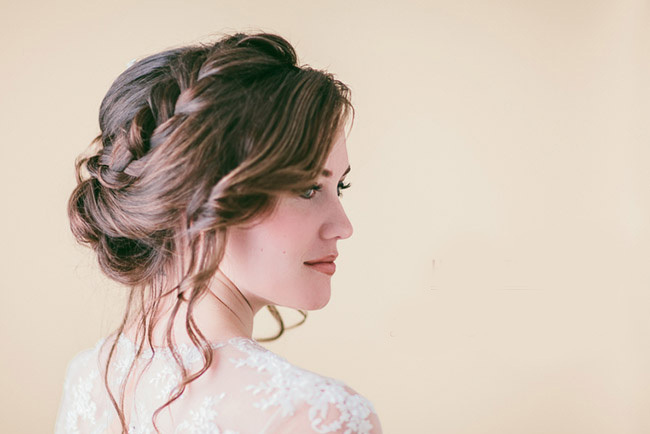 Hair Crown can be one of the most beautiful hair styles!